Helena combines small-town charm with natural beauty. While Old Town Helena was built around railroads in the late 19th century, the downtown still brings the community together. Performances are hosted in an outdoor amphitheatre and local food vendors collect in town for Helena Market Days. 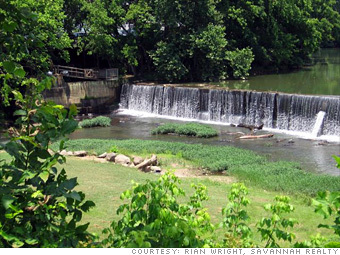 Step outside the downtown and you'll find the Buck creek running through the town, yielding to a flowing waterfall. If you enjoy a waterfront view, the town offers homes along the bank of the creek. However, more affordable housing is available, ranking Helena at the top of this category. While Birmingham's only 11 miles away, the interstate runs through town and creates congestion. --R.G. Is Helena a great town, or what?